If you follow Caffeinated you know, I am picky about young adult reads and rarely do I ever read a contemporary romance. 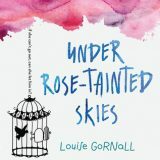 Under Rose-Tainted Skies by Lousie Gornall spoke to me from the synopsis to the cover and well here I am. 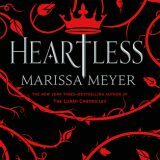 I was ecstatic when I picked up a signed copy of Heartless by Marissa Meyer at BEA 2016. I love her Lunar Chronicles series and have long been a fan of Alice in Wonderland penned by Lewis Caroll. Everyone loves to hate the antagonist the Queen of Hearts, who declared, “off with his head” at the slightest provocation. 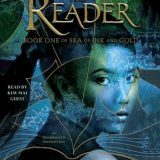 The Reader by Traci Chee is the first novel in the Sea of Ink and Gold trilogy. 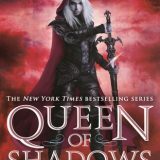 A young adult fantasy filled with magic, darkness, suspense, and a world that was both dark and beautiful. Narrated by Kim Mai Guest, I found myself losing myself to this world and its characters. 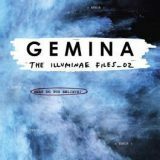 Gemina by Amie Kaufman and Jay Kristoff is the second book in the riveting Illuminae Files. 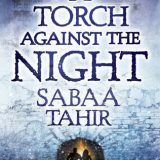 This young adult science fiction thriller takes us into deep space as it delivers non-stop action. Stalking Jack the Ripper by Kerri Maniscalco is the first in an unnamed trilogy. I had the pleasure of meeting the author at BEA and obtaining a signed ARC. 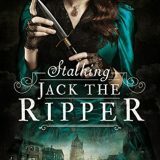 Stalking Jack the Ripper was an engaging, dark, twisted and clever historical mystery that takes place in Whitechapel in the late 19th century as a young woman, along with her Uncle and his apprentice work to catch Jack the Ripper.